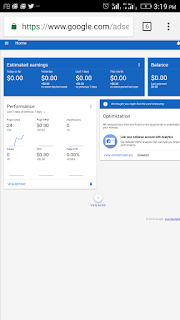 AdSense is one of the way bloggers make money, in fact it even pays well but the difficult thing there is getting approved. 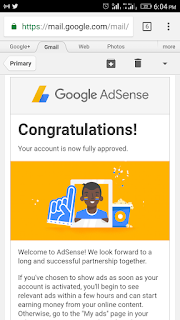 Bloggers finds it difficult to get AdSense approval even after months of blogging and this even frustrates some that they quit blogging. your blog. You said its not possible??? Lol! It is very possible. In fact I have a friend that got approved in just two weeks. 1. 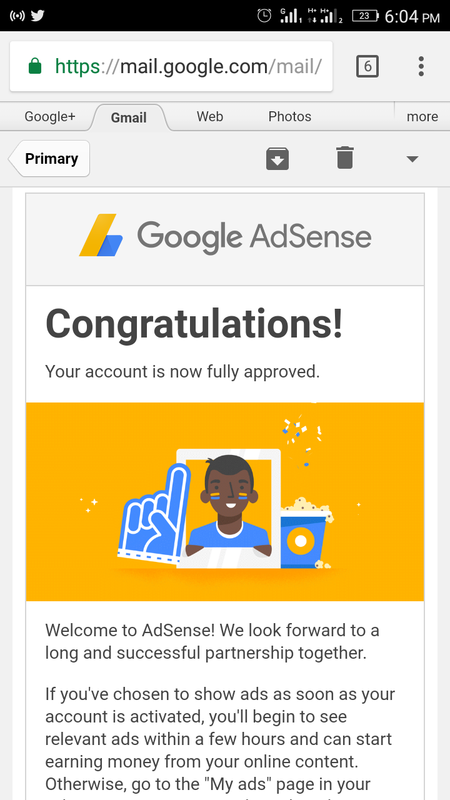 Your blog must comply with AdSense policy: this is very paramount to getting approved. Google doesn't approve blogs that does not comply with their policy. 2. Quality content: your blog must have quality content of not less than 50 (my views). No copied posts, no plagiarism and post must be more than 100 words. 3. Organic traffic: Traffic is the most paramount part of blogging. 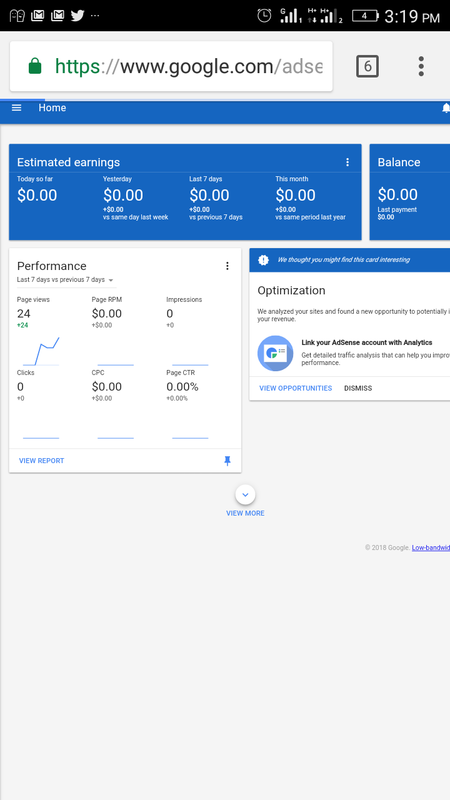 You can't earn money( even if you have AdSense approval) or get approved if you don't have a lot of people viewing your site. In my next article, I'll teach you how to get traffic. Okay? 4. Beautiful blog templates: you must have a nice blog template. Don't use colors like red ink on a pink template and other dull template because Google hates it and it drives viewers away from your blog. How will you feel when you visit a blog with so bright a color that it affect your reading?? I guess you won't visit the site again..ahbi?. 5. Don't copy post from other blogs: This is called plagiarism or copyright violations. Google hates it when you copy post from other blog and posting it on your blog. If you do so, stop now else you'll never get approved. Trust me. 7. Don't miss a day without posting on your blog. Quality posts. 8. Get a domain name so Google will know you are serious rather than using a .Blogspot or .WordPress domain. 9. Focus on a niche or niches you know you can control. Don't blog on all niche e.g tech, news, travel, lifestyle, entertainment, sport, gossip. Hahahah do you want to kill your self. You can't be effective when your niche is too much. I usually recommend just three niches but for best performance one. If you follow the steps I listed, you will get approval in 2weeks and start making money. If you find setting-up any of these method a problem. Contact us. I'll render you my services. Share this articles to other bloggers. Don't copy n paste.